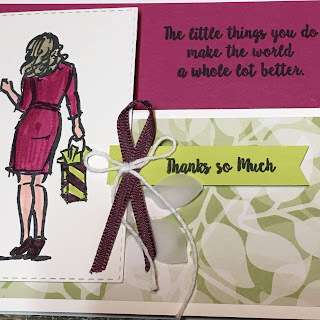 Karina's Kreations: Wonderful Moments Thank You Card! 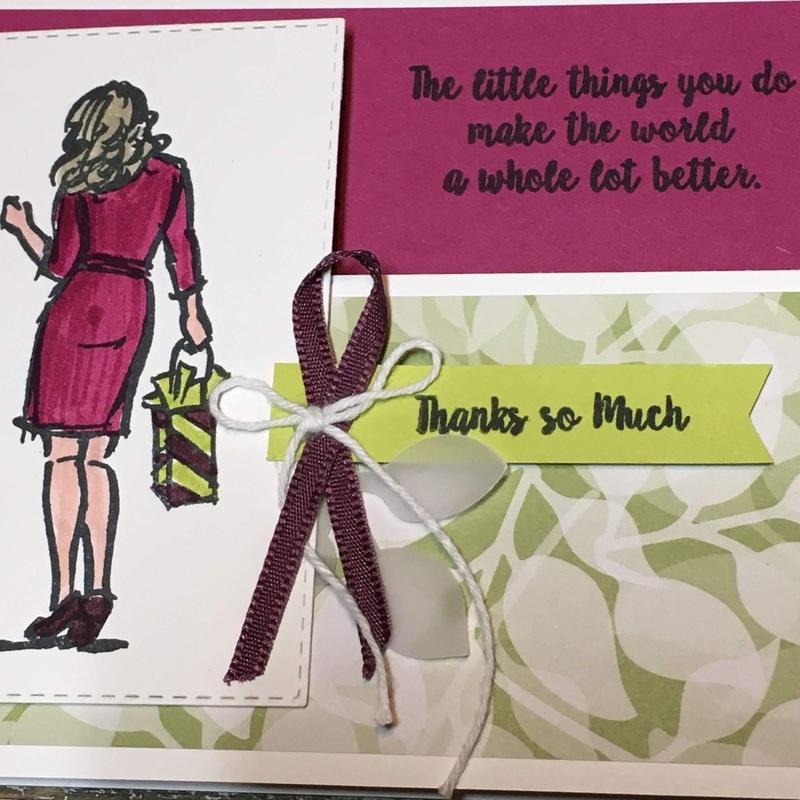 Wonderful Moments Thank You Card! I am loving the Wonderful Moments stamp set. The image is so fun to stamp and color. I designed my card around the retiring 2017-2018 In-Colors. They will be retiring in April. Make sure to order any ink refills, paper and embellishments now. I stamped my girl image with Black Memento ink on Whisper White cards stock and colored her with 2017-2018 Stampin' Write markers. It's a simple but pretty card to make. The card base is 4-1/4" x 11" scored at 5-1/2". The shorter edge was lined up at 1-1/2" mark on my stampin' trimmer and cut down to the score line. The base was rotated 90 degrees, the scored line was lined up at 5-1/2" and I cut down to the line.